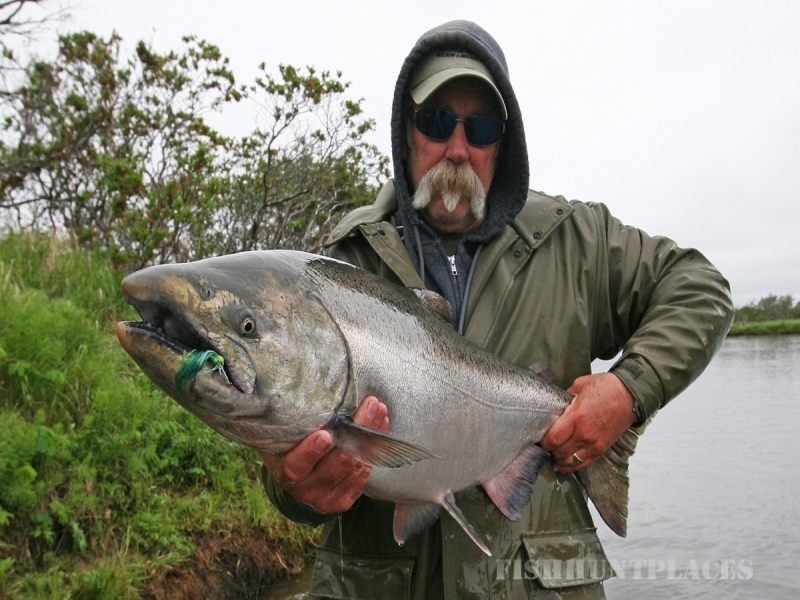 Nelson Lagoon is on the Alaska Peninsula (located 500 miles from Anchorage), far beyond the areas typically reached by traveling anglers. The village has about 60 year-round residents (80 percent Alaskan natives, the majority Aleut) in 25 households. Until recently, there were few fresh-water recreational fishing opportunities in this area. We have received permission to trespass on the uplands of our rivers. This gives our fisherman unique access to each fishing hole, where others have to stay in the river. 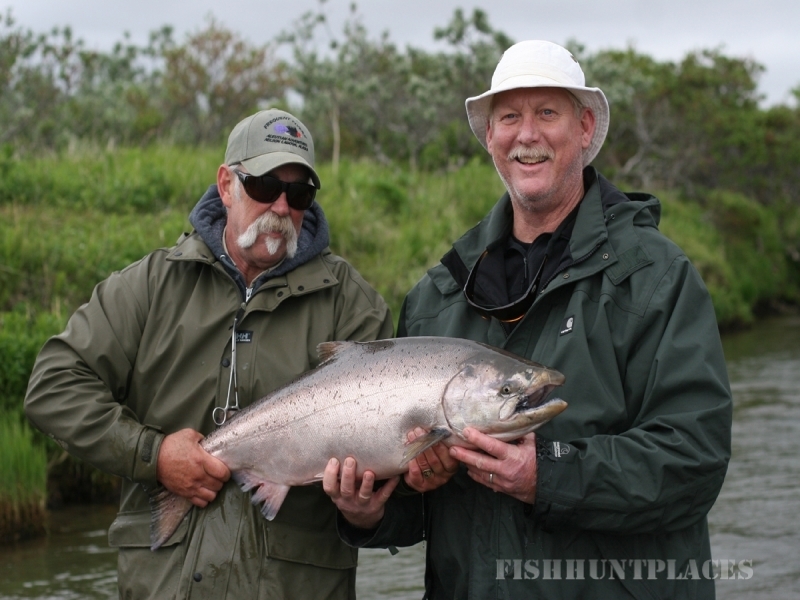 Our goal was to create a no frills, but great sport fishing camp on the Alaska peninsula. 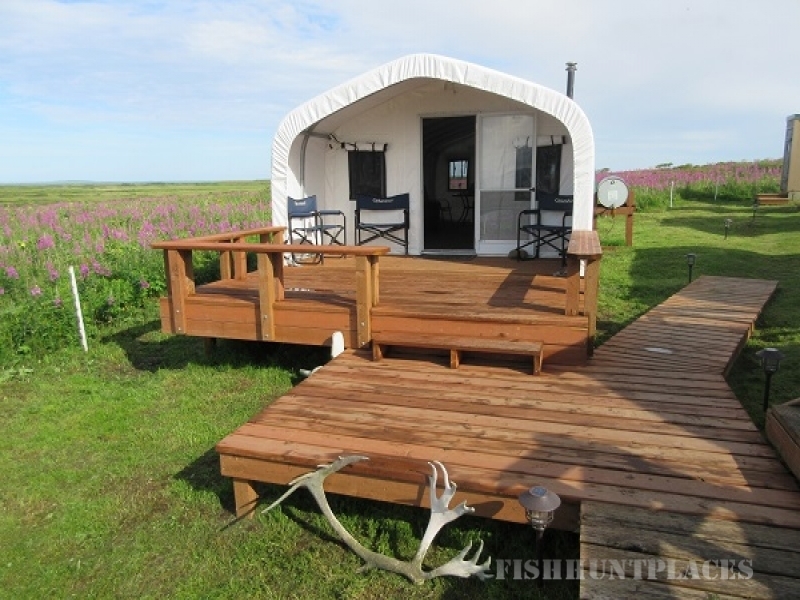 This intimate camp (only 6 guests a week) has dependable equipment, comfortable and clean accommodations, good food, knowledgeable and safe guides, and easily some of the finest Alaska salmon fishing left in the world! 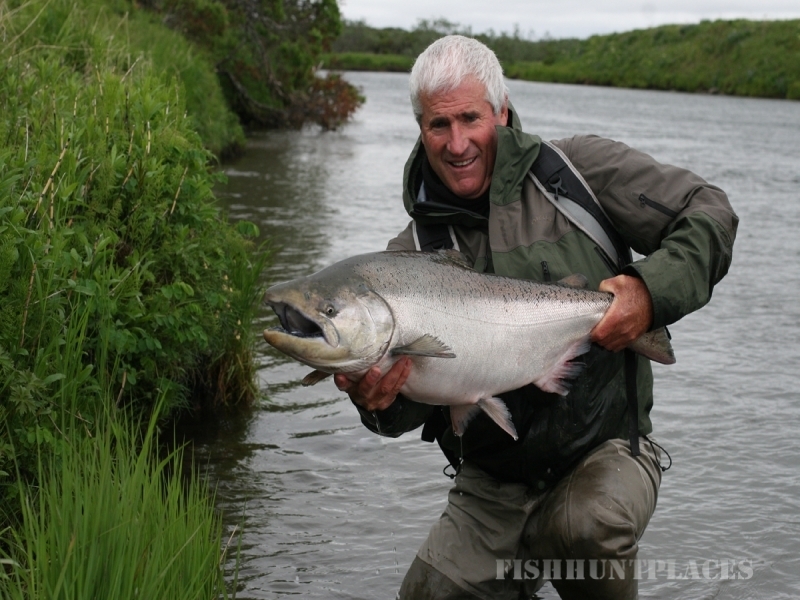 This Alaska fishing currently focuses on two main river systems: the Steelhead River and the larger Sapsuk River (a/k/a “Hoodoo River”). 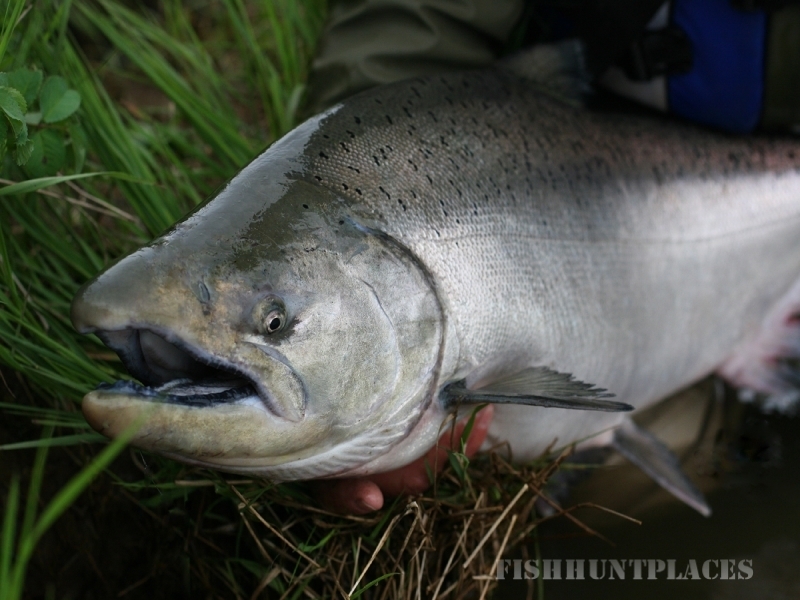 The Sapsuk and Steelhead rivers are teeming with dime-bright salmon including Silvers, Chums, Sockeye, aggressive King Salmon, and a good Steelhead run late in the season. The rivers are perfect for fly fishing, and the Sapsuk is a great Spey river als0! On top of all this there is some excellent Dolly Varden fishing and some trout.